More and more families are relying on the use of coffee machines to get a comparable quality espresso at home. The market offers various types of machines, which differ for the type of coffee used, and for the extraction method. Besides these factors, you must also take account of the construction materials, the size of the appliance and the price. So let’s investigate all the important elements to choose the best coffee maker for your home. 1.5 What are the Best Manual Coffee Makers? 2.4 What are the Best Capsule Machines? 3.6 What are the Best Automatic Coffee Machines? Coffee machines can be traced back to three macro-categories: manual machines, automatic machines, and capsule machines. The Manual Machine represents the classic version of the coffee machine, reproducing a bar-like, but in a small, casual version. In this machine, ground coffee is dosed and pressed into a suitable filter in the sleeve, which is then hooked to the body of the machine with a rotation of 45 degrees. Hot water is then pushed through the filter by means of a pressure system, thus allowing the coffee to be extracted; once the desired quantity has been reached, it must be stopped manually. To get good espresso coffee, the steps of coffee dosing and pressing are essential: it must be dense and uniform to ensure the correct resistance to water passage and to get a creamy consistency. 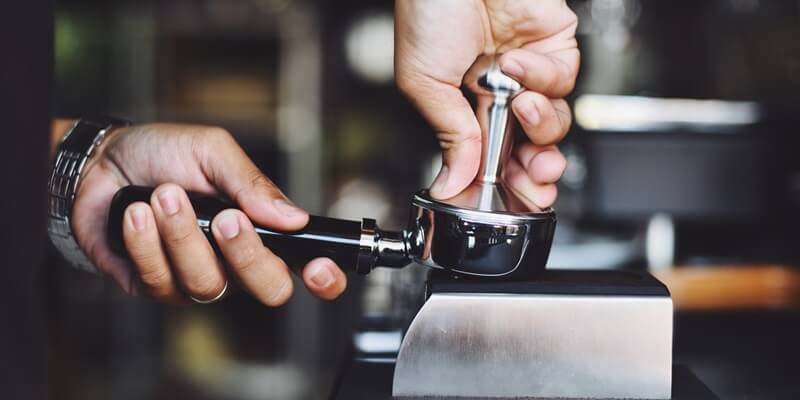 For this reason, many models of manual coffee machines are equipped with pressurized filter holders: they allow coffee to be dispensed only when the coffee and water powder emulsion has reached the ideal pressure for a creamy coffee. Of these filters there are various types, some have a separate valve with a rubber disc located beneath the filter, which can be removed if you want to depressurize the filter. It should always be considered that good coffee performance depends in particular on the quality of the blend. It must be of good quality and with a suitable grinder for the type of machine. For this reason, always check that the coffee pack is specified Compatibility with espresso machines. The price of manual machines is generally higher than the other models, but the next cost is rather low: ground coffee is cheaper than capsules, and the initial expense is thus cushioned over time. You can also choose different qualities and varieties of ground coffee, and mix them together to create your personal blend. Always keep in mind that manual machines are generally more complex to clean. This type of machine is always equipped with a steam lance, which allows mounting the milk by turning it into a dense, velvety cream to prepare stained coffee or cappuccino, but also to dispense hot water for tea and infusions. 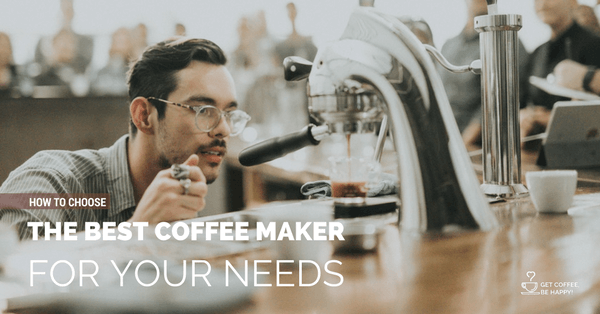 What are the Best Manual Coffee Makers? This type of machine is one of the most sold and widely distributed on the market for their ease of use and low costs. They combine the comfort of the weighted mono-dose quantity (that’s also pressed at the right point) and the speed of the heating and cleaning system. Their use is very practical: insert the pod into the compartment of the machine, close it and press the button. After coffee delivery, the capsule is ejected in a special container located inside the machine body or at the back. 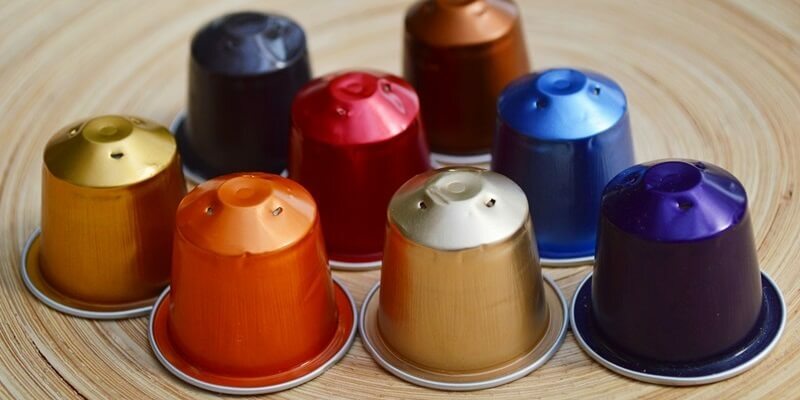 The coffee is of the highest quality thanks to the capsules: these small, plastic or aluminum containers contain a pre-packed and sealed amount of ground coffee (usually between 5 and 8 grams) and are opened by the pressure of the water produced by the machine. This way, the coffee keeps aromas and properties, and ensure maximum hygiene, preventing contact with external agents such as moisture, heat, and air. The quality of the coffee varies greatly depending on the brand used and the selected blend. Most manufacturers, in fact, propose a very varied selection of capsules to get more or less aromatic coffee or other beverages such as tea and infusions. The initial cost of capsule machines is usually smaller than other models, and are often more compact and with more eye-catching designs. In any case, look for the best-known brands of machines, avoiding the most unknown and cheap. Manufacturers have tended to customize more and more the insertion systems and capsules over time. Generally, this type of machine is also more reliable in materials and durable over time. What are the Best Capsule Machines? The models in this category represent an evolution of manual coffee machines and combine the quality and taste of freshly ground coffee with ease of use and cleaning. There are two types: Automatic and Super-Automatic. Automatic machines allow you to get a quantity of programmable coffee, so once they reach the desired amount, they stop by themselves. Super-Automatics carry out all the necessary operations in complete autonomy. They grind the right dose of coffee powder, they brew coffee and expulse the coffee wastes, which are collected in a container with the water used for cleaning the machine. Some models also have the cappuccino function: the cold milk is heated, assembled and dosed directly into the cup with coffee. This type of machine is advantageous both from the point of view of the quality of the coffee provided and for the simplicity of its use. It is also considerably more expensive than the other types, due to the high technology they have and are often bulkier. Keep in mind that due to the possibility of using grain coffee, the long-term savings are significantly higher than the capsule machines. Coffee grounds are also available in many different qualities to meet everybody’s taste. Some models also feature a further compartment for pre-ground coffee, which allows you to use two types of different blends without having to empty the grain container to change the type of coffee. Many models feature advanced features such as timers, coffee grinding rates and programmable dosage, self-cleaning, decalcification indicator, standby power saving and programmable aroma intensity. 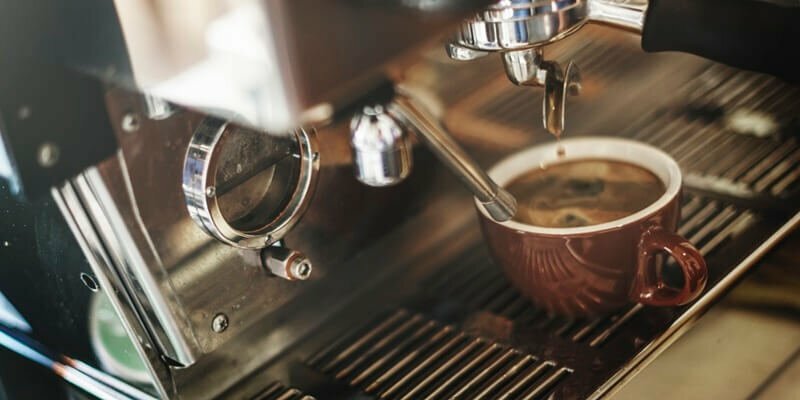 Regardless of the type of coffee used, coffee machines consist of four essential elements that affect the quality of the espresso: the boiler, the heat source, the water pressure system and the dispensing unit. It is essential to know the features as well as the materials they are composed of. Always read the technical data sheet to find the best product you want to buy. Perhaps orient yourself towards a price range and choose the one with the best value for money. Generally made of metallic material, the boiler serves to keep hot water and steam always ready for use and its dimensions may vary depending on the type of machine. The most used materials for its construction are stainless steel and aluminum. Stainless steel is a good compromise: it keeps heat well, is very resistant and less subject to corrosion and limestone. Aluminum is also widely used: it is lighter, it also warms much faster than steel, but in turn is more fragile and keeps heat for a shorter time. It is made up of an electrical resistance that allows water heating and steam production. The resistance power varies according to the size of the boiler and mainly affects the consumption. Many models are now equipped with a self-timer system which ensures good economic savings. The water temperature in the boiler is controlled and maintained by a pressure switch which in some models is visible in the control panel. In others, water is drawn from the tank and heated only in the amount needed to the preparation of one or two cups. Another important element for the good performance of espresso coffee maker is the water pressure. It must be at least 9 bar, and for an optimal result between 12 and 15 bars. The quality of the coffee obtained depends on the pressure that pushes the water through the filter. For this reason, some models are equipped with a pressure gauge that allows controlling pump pressure. An integral part of the dispensing unit, the filter holder is a key element in automatic coffee machines. Since the filter holder is subject to heavy wear, construction materials are very important in this case: the best are brass and steel. Beware of aluminum or plastic, because they offer a very low thermal stability. They are also too fragile and subject to easy breaks even after a few uses. Even though it does not affect the quality of the coffee being delivered, it is good to keep in mind also the material which our coffee machine is built with. Most commercial models are made of ABS plastic, while others use die-cast metal (steel or aluminum). These are much more solid and durable, but also heavier and often bulky. Important: Check that the coffee machine you are going to buy has the IMQ brand. This brand guarantees security in all aspects. Secondary aspects, but certainly not negligible in choosing the coffee maker that best suits your needs are the design and the dimensions. The choice is very varied and ranges from essential and minimal design patterns to those from retro and vintage lines. Don’t forget also the revised classics in a more modern version and the designs that make design a distinctive sign. As for the size, they also vary between one model and another, although in principle we can say that capsule machines are definitely the most compact. The size increases for manuals and especially for automatic machines. Evaluate according to your needs which format is best for you: consider that sometimes in small machines there is no space for the cups. Always check the actual dimensions of the manufacturer in the technical data sheet and pay attention to the depth. Some machines have low height and width are deep enough due to the presence of the water tank. What are the Best Automatic Coffee Machines? More and more families are relying on coffee machines to get a quality espresso at home. 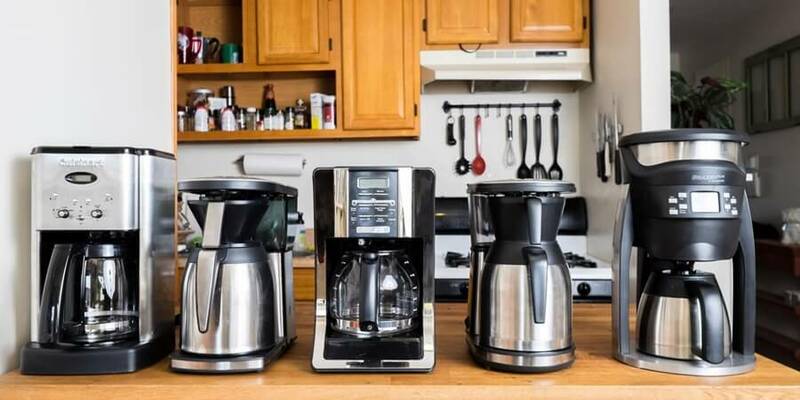 Let's find out how to choose the best coffee maker for your home.